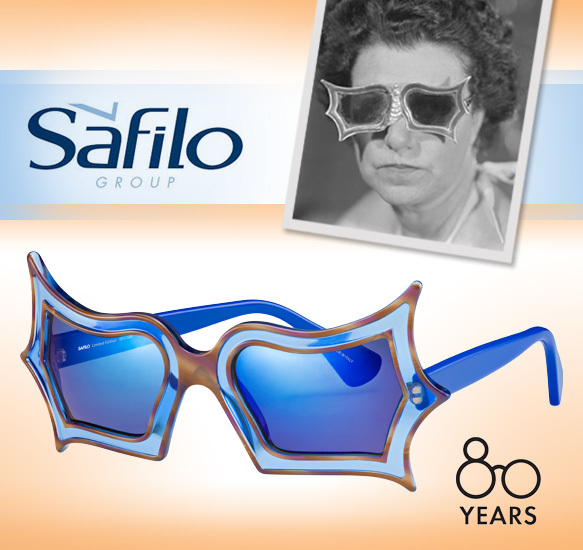 Reveling in a whopping 80 years in the industry, Safilo hosted an exclusive anniversary event in early September at the fabulous Peggy Guggenheim Collection museum in Venice, Italy! As party-goers mixed ‘n’ mingled with the stunning Venetian lagoon in the background, they had the special opportunity to take a looksie at Safilo’s latest limited edition Peggy Guggenheim sunnies and try them on. Inspired by the late renowned art collector—who was frequently photographed during her time wearing her eccentric sunglasses created by artist and friend Edward Melcarth—these shades perfectly capture her unconventional and bohemian spirit. Sneak a peek of the swanky soiree below. Boasting an iconic blue butterfly silhouette with flash lenses, these revisited sunglasses offer up a modern take on the original surrealist-influenced model, crafted by Safilo in 1994 and sold exclusively at the museum’s shop. Check ‘em out below.